I’ve been honored to appear as a public speaker for and contribute articles to various establishments. 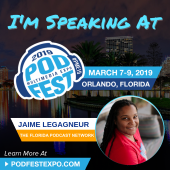 Jaime - just got back from Podfest and wanted to say, great job! I got the opportunity to hear you speak on local geo podcasting, and I just want to say "thank you" for a great presentation. Really inspiring and opened my eyes to a few things. That was the best breakout all weekend! You incorporated so much with the interaction and held everyone's attention, and we were enlightened about podcasting! Cathy Iannucci-Rollins	Talent Agent, Standing Room Only Prods, Inc. I have heard so many compliments on your presentation Saturday. I only wish I could have been there. Diane was very happy with all you did and your work with her. People like you and Diane make me look very good. More importantly your work with Diane helps our chapter! We look forward to working with you again. I really enjoyed your talk last Saturday. You are certainly THE WINNER. Thank you again for your fabulous presentation on Podcasting on Saturday. I learned a lot about the process, and I know everyone else there did, too. Informative AND fun! BY THE WAY so many commented on how well you lead us in prayer. You are above and beyond one of the very best. Thank you! Jaime’s podcast career began in 2014, when she launched her first show, Curve the Cube. She spent the following years honing her podcasting expertise and founded the Florida Podcast Network in August 2017 with the goal of helping local brands and businesses get into the space and propel Florida’s entrepreneurial prosperity forward. 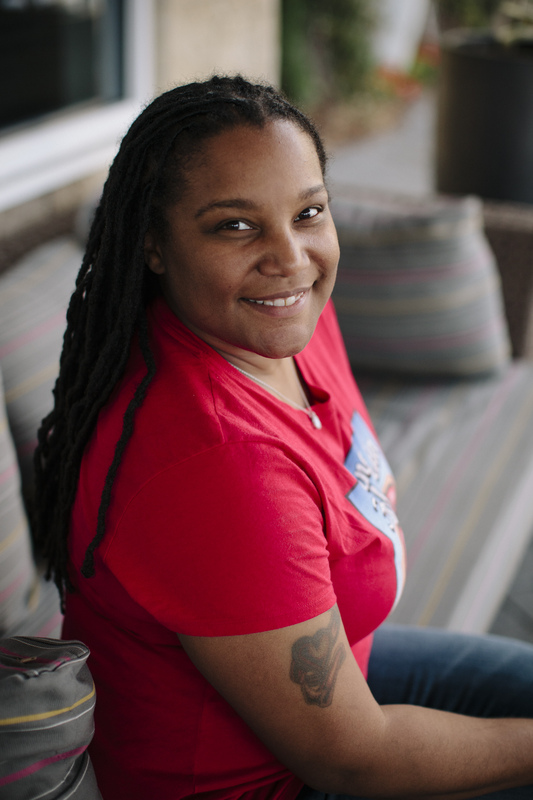 Jaime is also the owner of Flint Stone Media–a podcast and website production house, is the winner of the 2017 “In Yo Face” podcasting award, and has been the Production Coordinator for the Horse Radio Network since September 2017. With her business partner and co-host, Glenn “the Geek” Hebert, she has been travelling around the state for their show, Finding Florida for the last year. 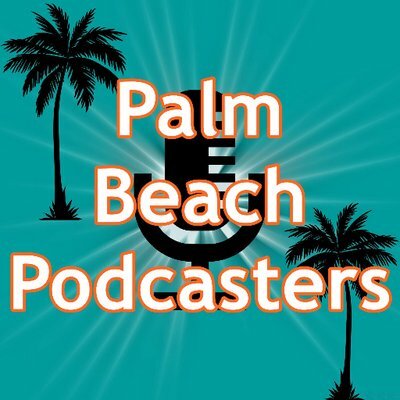 And, last but not least, she is also the organizer of the Palm Beach Podcasters MeetUp group, which is planning an upcoming relaunch. Like most Floridians, Jaime wasn’t BORN in the Sunshine State; but, she proudly claims it, since she’s lived here since 1982. After first living in Miami for a couple of years, her family moved north to Boca Raton, where she grew up. They planted roots there and witnessed the town develop around them. Jaime attended Pine Crest Schools in Boca Raton and Fort Lauderdale and then studied business at Tulane University and law at the University of Virginia. on podcasts, and following your passion. We look forward to helping you ignite! Welcome to Flint Stone Media!